The warmer weather is finally starting to stick around here in South TX. I’m not sure if this is a good or bad thing because once it starts to get warmer it continues to get warmer until it’s almost unbearable come August. One hundred degree days become very common and it is hot, hot, hot. But this time of year is just beautiful! The wild flowers are blooming all over TX and it is the prettiest site. I keep forgetting to grab my camera before I leave the house, but I am really wanting to get some pictures of my kids in the flowers. Since the weather is so nice we also like to spend a lot of time outdoors. Today I started getting ready and bought some new cushions for our outdoor chairs and hung some white light strands (not Christmas lights but the larger bulb kind) in our trees in the backyard. It makes the backyard so pretty at night. I just want to sit out there for hours and look at the yard all lit up. This weekend I hope to get some pretty flowers to liven up some of our pots in the front and backyard. Enough about gardening! Let’s talk about this yummy salsa shall we??? This Easter some of my family is spending the weekend with us and I have already started to plan snacks for that weekend. We are a family that loves to snack throughout the day while drinking some sweet tea and visiting. I mean who doesn’t love to do that? Right?? 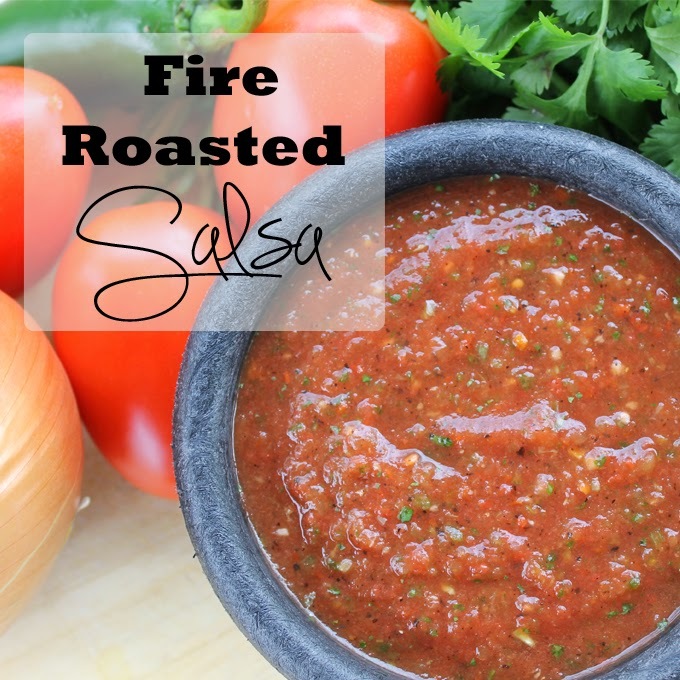 🙂 This Fire Roasted Salsa is extremely easy to make and you can adjust it according to how much you need or how hot you like your salsa. The tomatoes, garlic, onions, jalapenos, and cilantro fire up the flavor for some tasty salsa you will fall in love with. Serve along with tortilla chips or fresh veggies for a little extra flavor. Place everything into your blender or food processor. Blend until you reach your desired consistency. Chunky vs smooth. I hope that everyone has a blessed rest of your week and will hop over to Gloriously Made sometime soon and say hi. 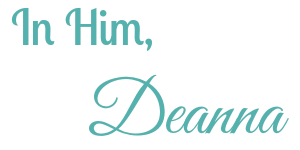 You can also follow along with me on Facebook, Twitter, Google Plus, and Pinterest if you like. I love salsa! I’m having Mexican tonight so I’ll be loading up on chips and salsa. PINNING! Yum! I LOVE salsa! I wish my 3 week old did too. Ha! I pinned it for later :). Yum! I love homemade salsa. Sound delicious! This looks really delicious! I love the jalapeno adding some heat…thanks for sharing! oh la la…love this – thanks for the share! Always love a great salsa!!! Pinning and sharing! thanks for sharing! I’m going to make my own salsa this week! Yum!! And really pretty Simple…I love Spicey stuff!! Thanks for sharing! This looks delicious!! Thanks for sharing! 🙂 Salsa is a big hit in our house. YUM! My boyfriend will love this! Thank you for sharing with us at What We Eat Wednesday‘s link up! I’ve also pinned this recipe on my WWEW board! Don’t forget to come back every week with your new or old recipes! What a great salsa recipe! I’m pinning it, and also featuring it in my Cinco de Mayo roundup this Friday! I love a good salsa – this sounds great! Thank so much for sharing it at the Friday Frenzy! Yum, I just love a good salsa. Thanks for sharing at Simple Supper Tuesday. Great for gatherings! Healthy and delicious. 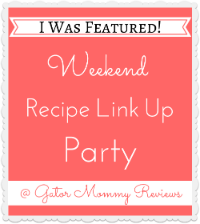 Coming from The Weekend re-Treat Link Party.Come-by and say hi! This salsa looks great. Fresh ingredients and bold flavors, yummo! This looks perfect, and I love how easy it is since it uses canned tomatoes. I am pinning this one a couple places and will try it soon 🙂 Thanks so much for sharing it with us at Saturday Night Fever! Sounds delicious, I love salsa. Thanks for linking up to Sweet and Savoury Sunday, stop by and link up again. Have a great weekend!! Your salsa looks fabulous! I’ve pinned it and will be trying it out soon. Thanks for visiting – I’m visiting from Tumbleweed Contessa’s “What’d You Do This Weekend?”. Congratulations on your feature! Have a beautiful day! We love to try new salsa recipes! This looks great. Thanks for sharing at the Thoughtful Spot Weekly Blog Hop! We love salsa, I would love to try your recipe soon!